The FP5205 is a boost topology switching regulator for wide operating voltage applications. 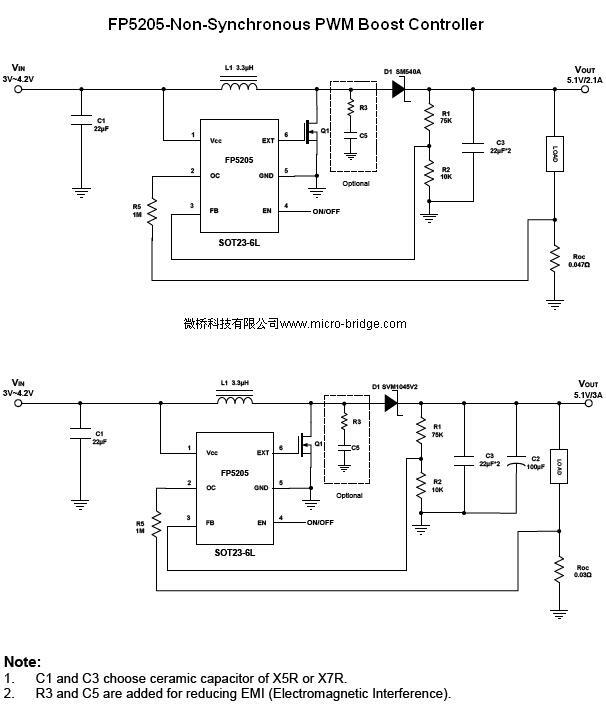 It provides built-in gate driver pin for driving an external N-MOSFET. The internal compensation network minimizes external component counts, and the non-inverting input of error amplifier connects to a 0.6V precision reference voltage. The FP5205 has internal soft start and programmable over current protection set by external resistance. The FP5205 is available in the small footprint SOT23-6L package to fit in space-saving PCB layout for miscellaneous application fields.